Caroline Stewart has over 25 years’ experience in clinical gait analysis. 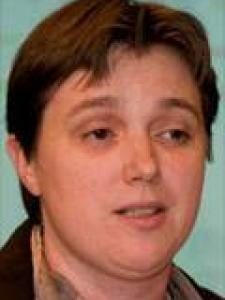 She began her research at Strathclyde University, completing her PhD in prosthetic gait in 1995. Subsequently she was employed as a clinical engineer in ORLAU, a specialist department of the Robert Jones and Agnes Hunt Orthopaedic Hospital in Oswestry in the UK. ORLAU’s expertise covers clinical gait analysis and rehabilitation engineering and Caroline now manages these busy clinical services. In 2013 she took up a part time academic post at Keele University alongside her NHS commitments. 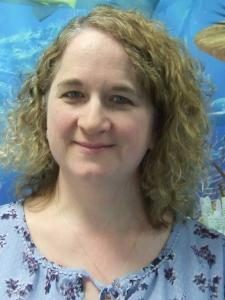 Caroline first attended ESMAC in Dundee in the early 1990s and she was involved in teaching on the gait course for twelve years from 2001. She has also served on the committees of the UK and Ireland Clinical Movement Analysis Society (CMAS), taking a particular interest in the development of national standards. Caroline’s current research interests are focused on musculoskeletal modelling and she has used gait analysis as an outcome measure for treatments including joint replacement and selective dorsal rhizotomy. She has served on the editorial board of Gait and Posture for over 10 years and is active in the national training scheme for clinical engineers in the UK. When not involved in movement analysis Caroline enjoys swimming in local lakes and rivers and excavating mediaeval castles and monasteries. Jaap Harlaar was educated in electrical engineering, specialising in biomedical engineering. During his PhD project he developed instruments for the assessment of motor function to assist clinical decision making, with a focus on EMG recording and processing in a context of movement analysis. His career is characterized by a strong collaboration with clinicians, in the area of neurorehabilitation, especially paediatric physiatrists regarding gait in children with cerebral palsy. More recently he started a research program on knee osteoarthritis. 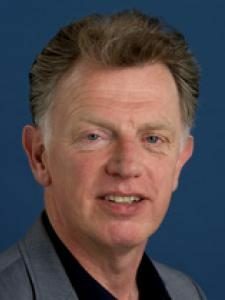 Jaap is head of the human movement laboratories of the department of Rehabilitation Medicine of the VU university Medical centre (Amsterdam, the Netherlands) , and holds a chair in clinical movement analysis. He is also lecturer at the department of human movement sciences of the VU University, and PI at the Amsterdam research institute MOVE. Jaap is immediate past president of ESMAC, co-founder and past president of SMALLL, and organized the first joint ESMAC-GCMAS meeting in 2006 . He has been active in many scientific roles for ISPO (International Society in Prosthetics and Orthotics), most recently as scientific chair of its bi-annual congress in Lyon in 2015. He has many research collaborations, including participation in the EU networks MD-Paedigree (on gait in CP) , CMAster (on education in clinical movement analysis) and KneeMo (on gait in knee osteoarthritis). Jaap likes to bike and dance. Leonhard Döderlein started his training in paediatric orthopaedic surgery as early as 1983 when he joined the Orthopaedic Hospital in Rummelsberg under Prof. Thom, who was specialized in the orthopaedic management of patients with poliomyelitis and cerebral palsy. Here he gained his decisive orthopaedic inputs that last until today. From 1986 until 1989 he worked in the Orthopaedic University Hospital in Freiburg where he established a special clinic for handicapped patients with special needs. From 1989 to 2007 he worked as a consultant surgeon in the Orthopaedic University Hospital in Heidelberg in the Department of Paediatric Orthopaedics where he was head of the Cerebral Palsy Section and Prosthetics and Orthotics. In Heidelberg he had been successful to introduce a 3D instrumented gait laboratory since 1995. This gait laboratory has been busy until today and works as a close cooperation of clinical and biomedical disciplines. The 1999 ESMAC meeting in Heidelberg had been organized together with the gait analysis team and was a quite successful event. From 2007 onwards he has been chief surgeon of the Paediatric Orthopaedic Hospital in Aschau, Germany, where he could continue his interest in combining movement analysis and clinical work. The gait lab in Aschau is a very active one. Its main research areas are pathologic muscle physiology, torsional problems and foot deformities and their effects on gait. Leonhard Döderlein´s main focus is still the integrated approach to gait disorders of neurologic and non-neurologic origins and he uses 3D gait analysis as an integral part of the treatment decision, may it be surgical or conservative, and control. His further interests are foot deformities and upper limb reconstruction. In his leisure time he enjoys family activities and he is a busy postal historian, a discipline which started as a simple stamp collector but then turned out to be another time consuming hobby. The management of flexible flat feet in children remains controversial. The majority of children with flat feet have no symptoms or physical limitations. However, some children develop symptoms of varying severity and this affects their quality of life as measured by the Oxford Foot and Ankle Children’s Questionnaire. The development of symptoms and physical limitations does not always correspond to the severity of the deformity as assessed clinically. Kinematic analysis of children with flexible flat feet using the Oxford Foot Model showed that some aspects of forefoot motion are mostly associated with increased disability. MRI studies showed that anatomical changes in the subtalar joint may be related to increased navicular drop. Associating the level of symptoms and disability to specific morphological and functional characteristics in these children is likely to throw more light into our understanding of the condition and its management. 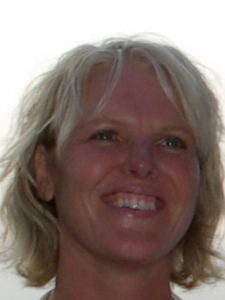 Ilse Jonkers received a PhD in Rehabilitation Sciences at KULeuven, in 2000. 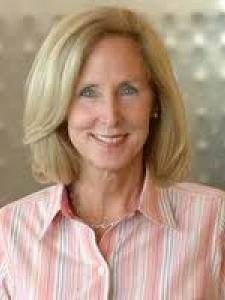 After a postdoctoral research period at KU Leuven and Stanford University, she is associated professor at the Department Biomedical Kinesiology of KU Leuven, Belgium. Ilse is currently the head of the research unit on human movement biomechanics. The aim of my research activities is to further the understanding of the neuromuscular constraints of gross motor function and relate gross motor function, joint and tissue loading to musculoskeletal adaptation. These insights are essential to provide fundamental insights to optimize rehabilitation strategies and surgical interventions. Main methodologies are 3D motion analysis, personalized musculoskeletal modeling and multi-body simulation. My research has a very strong multidisciplinary footprint, bridging between biomedical engineering, rehabilitation and human movement science as well as medicine. I am a strong believer that innovation in science requires multidisciplinary collaboration. ‘In silico’- Informed treatment plans for gait remediation: Facts or Fiction? For long, physical therapy was considered more ‘art’ than ‘science’. The introduction of ‘evidence-based practice’ has allowed physical therapy to move up the ladder of scientific disciplines and strengthen its authority by providing evidence of treatment effects. Technological developments, such as integrated three-dimensional motion analysis that allow an objective description of movement disorders, were indispensible in this process. Many studies are now available that provide evidence on treatment effects in specific patient groups, with selective recruitment often being the major confounding factor. More recently, advanced statistical analyses tools are applied allowing cluster analyses of patients to define optimal treatment paths. During the past decade, engineering methodologies have been introduced to assist in the study of human gait. The use of musculoskeletal modeling and dynamic simulations of motion have been put forward as unique methods to define causal relationships between muscle action, musculoskeletal structure and the resulting movement disorder. In combination with finite element analyses, the relation between motion and musculoskeletal and tissue loading can be explored. Recently, the incorporation of subject-specific detail in musculoskeletal models is heavily promoted and medical-imaging based musculoskeletal modeling pipelines have been developed. Furthermore, incorporation of neural control algorithms that account for altered control strategies in patients suffering from neural deficits, are under development. However, at the moment, insights gained from the simulation environment are only to a limited extent, if at all, incorporated into physical therapy treatment plans. This in contrast to orthopedic applications e.g. development of total joint prostheses and navigation-assisted surgery, where the use of simulation methodology is now becoming part of the surgical planning- workflow. This presentation will try to unravel why the field of physical therapy is, once more, lagging behind: On the one hand, this keynote lecture will show that insights gained from simulations are relevant to further the development of physical therapy practice. On the other hand, this keynote lecture will show that the ‘burning’ questions of physical therapists often go beyond the capabilities of current simulation methodologies. Therefore, the major purpose of this presentation is not to present ground breaking, innovative scientific insights gained from musculoskeletal modeling and dynamic simulations. It is above all meant as a platform to facilitate multidisciplinary discussions on how to develop simulation methodology so that ‘in silico’-based insights can be generated that are considered relevant to the field of physical therapy. After all… the proof of the pudding is in the eating. Carlo Frigo has been working in the area of movement analysis and motor control since 1976, when he has graduated at Politecnico di Milano. His background is biomechanical engineering, although the group in which he has been involved is a multidisciplinary group, which includes electronics, informatics, automatics. His academic position is Associate Professor at the Faculty of System’s Engineering, and he belongs to the Department of Bioengineering of Politecnico di Milano. He has been working for 25 years in the Bioengineering Centre of Milan, that was an institutional cooperation between Politecnico di Milano and Fondazione Don Gnocchi, one of the major rehabilitation and research institutes in Italy. In this frame he has been active part in the development of one of the renowned systems for movement analysis, the ELITE System. He has also contributed to realize one of the first clinically oriented Gait Analysis laboratories: the SAFLo (Servizio di Analisi della Funzionalità Locomotoria). SAFLo is also the acronym of a gait analysis protocol that he has developed and that is now implemented in several gait analysis systems. 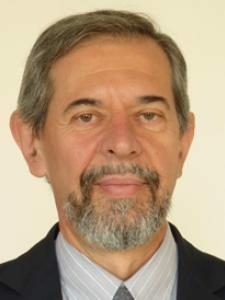 Carlo Frigo has contributed to the constitution of the Italian Society for Clinical Movement Analysis (SIAMOC) of which he has been the first Secretary (years 1999-2003) and then President from 2007 to 2009. 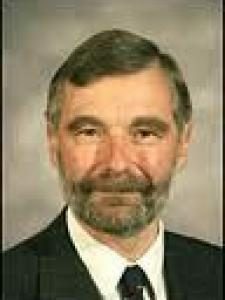 He has been active member of ESMAC, organizer of the 10th ESMAC congress in Rome, 2001, held jointly with SIAMOC, and has been part of the ESMAC Committee. 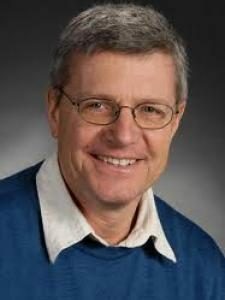 His present interests, beside clinical movement analysis and movement biomechanics, are musculoskeletal modeling, computer simulation, and all related applications in the field of orthotics and prosthetics, functional surgery, motor control and recovery of motion. Analysis of human movement has evolved from early applications of technology, that were pioneered in the seventies/eighties of the last century, to current applications in which movement analysis is performed routinely in many clinical laboratories. Biomechanical variables and neuromotor control have been investigated deeply since then, and useful information from the clinical point of view can now be obtained in individual subjects, and allow planning interventions and check the functional status of a patient. More recently the possibility to model the musculoskeletal system and simulate human movement has opened new perspectives to understanding the motor behavior. Synthesis is the process of building a product by adding its constitutive components. Movement can be synthesized by properly combining input variables that control the degrees of freedom of a model. These variables can be joint angles and space coordinates, but also joint moments, muscle forces, environmental conditions. Integration of the two processes of analysis and synthesis can improve our capability to investigate complex mechanisms. A typical problem we can face in this way is the ‘what if’ problem. The effects of changing muscle length and insertion points, changing the properties of muscle contraction, or patterns of muscle recruitment, for example, can all be investigated by this approach. In addition the function of muscles, in particular the double-joint ones, and the synergistic control of agonists and antagonists can be investigated in some specific conditions and better understood. It is foreseen that several aspects related to treatment of neuromotor disorders will be dramatically enhanced when models for simulating complex dynamic phenomena will be available with sufficient accuracy and ability to adapt to single individuals. Dr. Anand Nene obtained degrees of Bachelor of Medicine and Bachelor of Surgery from the University of Bombay. He further trained in orthopaedic surgery and obtained a post-graduate degree of Master of Surgery, also from the University of Bombay. On arrival in the United Kingdom he obtained a further Post-Graduate degree of Master of Orthopaedic Surgery from the University of Liverpool. After gaining further experience in the United Kingdom he returned to India. However, circumstances brought him back to the United Kingdom. He worked as a Medical Research Fellow in the Orthotic Research & Locomotor Assessment Unit (ORLAU) at the Robert Jones and Agnes Hunt Orthopaedic Hospital in Oswestry. There he developed his interest in the subjects of Gait, Paraplegic locomotion, Functional Electrical Stimulation and use of Gait Analysis for clinical decision making in Cerebral Palsy. In January 1994 he arrived in the Netherlands. Here he retrained as a specialist in Physical Medicine and Rehabilitation (PMR). He was awarded PhD by the University of Twente for his work on hybrid paraplegic locomotion. 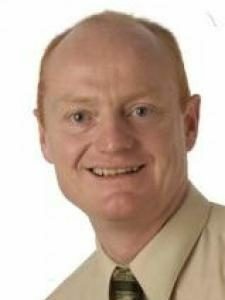 Presently, he works as a specialist in PMR in Het Roessingh Rehabilitation Centre and also as a Research Fellow in Roessingh Research & Development. He was instrumental in establishing a clinical gait analysis service in Het Roessingh. 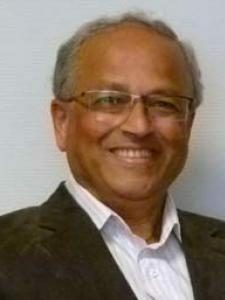 He has published number of articles in the medical literature. 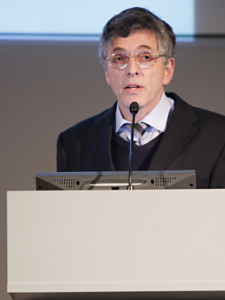 His present research interests are: pathophysiology and management of spasticity, management of gait abnormalities and improvement of arm hand function in neurological disorders. Human body has 3 types of striated muscles, namely, mono-articular, bi-articular and poly-articular. Both human and animal studies suggest that mono- and bi-articular muscles have different roles in the complex movements such as walking. Mono articular muscles show simple unidirectional activation patterns, whereas bi-articular muscles exhibit complex patterns of movements. Sometimes these bi-articular muscles are considered to be bi-functional, i.e. they exert opposite actions at the joints they span, either individually or at the same time, e.g. flexion at one joint and the extension at the other. Bi-functional muscles control the direction of external forces by regulating the distribution of the net moments across the points. Rectus Femoris (RF) is one of such muscles. Quadriceps Femoris is one the dominant muscle groups at the knee. Anatomically it is described to consist of 4 heads, namely, Vastus Lateralis, Vastus Intermedius, Vastus Medialis and Rectus Femoris. The Vastii are mono-articular crossing only the knee joint, but RF is a bi-articular muscle. In the past, function of RF has been described as extension of the knee during loading response along with the Vastii and restricting the knee flexion during pre- and initial swing. Although these are 2 functions, however, in the real sense, this does correspond to a definition of being bi-functional. The electromyography (EMG) studies that formed the basis of above mentioned functions were carried out using surface electrodes. Studies carried out using both surface and fine wire electrodes in healthy subjects showed that RF is active only in the pre- and swing phases during walking at normal speeds. At faster walking speeds there is increasing activity of RF during terminal stance, probably to prevent excessive hip extension. Role played by abnormal activity of RF alone in cerebral palsied children is well established. A study carried out in subjects who walked with a stiff knee gait after stroke also showed, in majority of subjects, only RF activity was abnormal. Vastii did not show abnormal activity pattern. This shows that in healthy as well as in diseased RF is a completely different muscle and to include RF along with Vastii as part of Quadriceps does not make sense. Vastus Lateralis, Vastus Intermedius & Vastus Medialis should be renamed as Triceps Femoris & RF should have its own identity as a separate muscle with a different function thanTriceps Femoris. Laboratory of Human Movement Analysis, University Medical Center and Center for Human Movement Sciences, University of Groningen, Groningen, The Netherlands At Hof studied Electrical Engineering at the University of Twente, Enschede, The Netherlands, arriving at the MS degree in 1972 and the PhD in 1980 on “EMG to force processing”. 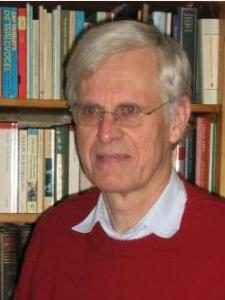 He was affiliated with the University of Groningen since 1973, in the departments of Medical Physics (1973-1994), Medical Physiology (1994-2001) and Center of Human Movement Science (Associate professor, from 2001). Next to this he holds an appointment at the University Hospital Groningen as Technical Director of the Laboratory of Human Movement Analysis, Department of Rehabilitation. His research interests include biomechanics, electromyography, in vivo determination of human contractile and elastic muscle properties, and human locomotion, especially balance during locomotion. As humans we do many of our activities in upright stance. Balance control, to remain upright while we are moving, is a precarious task because our centre of mass (CoM) is to remain above our feet, the centre of pressure (CoP), an unstable situation. Many ‘strategies’ are already known that effect this balance control in various circumstances. These strategies can conveniently be categorized into three basic mechanisms1. Mechanism 1: moving the CoP. When sufficient space is available, the major mechanism is to move the CoP. When the CoP is moved in some direction, the CoM ‘falls’ in the opposite direction. This can be done by muscle contractions of muscles acting on the foot, the ankle strategy. In this way the CoP can be moved over the foot sole: forward by soleus and gastrocnemius, medially by the peronei and laterally by the tibialis muscles. If the CoP has to move a greater distance than compatible with the dimensions of the foot, we have to make a step, the stepping strategy. A third strategy is the weight shifting strategy of two legged stance, in which the load division of left and right leg is changed by action of the hip abductors. The strategies of mechanism1 can be described by the ‘inverted pendulum’ model2. Mechanism 2: rotation around the CoM. When body segments are given a rotational acceleration around the CoM, the body as a whole gets an acceleration in the other direction1. Bauma nn Lecture : Bala nce duri ng wal king: how to hol d your hea d up Examples are the arm swing – and the hip strategy. These strategies are especially useful when the base of support is small, e.g. in one-legged stance, or when a very fast action is needed. Mechanism 3: external support. Often overlooked, but very practical, is the mechanism of external support, to make a grab at or to hold on to a hand rail, to use a cane or a rollator. To study the balance strategies used in walking, we applied pushes of known magnitude and timing to the waist of subjects who walked on a treadmill, which was equipped with force transducers to record the CoP3. When sideward pushes are given, the response is firstly a stepping strategy: in the next step the foot is placed more sideward in the direction of the push. In this way the CoM falls in the direction opposite to the push, and the perturbation is corrected. When the push is given outward, e.g. a leftward push during left stance, a crossing-over step may be required. Step time is only affected (shortened) at large perturbations. It can be shown that, in addition to the stepping strategy, also the ankle strategy is used. This strategy is restricted in magnitude, but is more precise and can be applied earlier. Muscle actions related to both strategies can be found from the EMGs. As a reaction to a backward perturbation, one would theoretically expect a shorter steplength4. This is indeed found, but it is always accompanied with a longer step duration. This is even more the case with a forward perturbation. Step time is always shortened, while steplength is sometimes lengthened, sometimes shortened, depending on the timing of the push. In patients the biomechanical abilities for balance often set bounds to the ability for walking. Examples are amputees, who cannot use the ankle strategy and who have a reduced precision of foot placement at the prosthetic side5, and CP patients, with their reduced precision of movement and, in case of equinus gait, reduced base of support. 1. Hof AL. The equations of motion for a standing human reveal three mechanisms for balance. Journal of Biomechanics 2007; 40:451-457. 3:193-214. 3. Hof AL, Vermerris SM, Gjaltema WA. Balance responses to lateral perturbations in treadmill walking. In: Chiari, L. and Nardone, A. (Eds): Proceedings of the XIX conference of the International Society for Posture and Gait Research. Bologna: University of Bologna, 2009 pp. 348-349. 4. Hof AL. The `extrapolated center of mass’ concept suggests a simple control of balance in walking. Human Movement Science 21-1-2008; 27:112-125.5. 5. Hof AL, van Bockel R, Schoppen T, Postema K. Control of lateral balance in walking: Experimental findings in normal subjects and above-knee amputees. Gait & Posture 2007; 25:250-258.